Promotional Feature: In our last section of our six part series we take a look at application benchmarks with some of the most popular productivity applications and games. 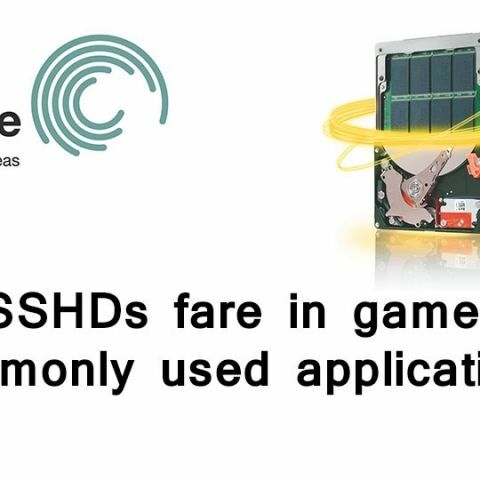 In our previous tests we tested Seagate’s SSHD using synthetic benchmarks as well as real world tests to verify the results obtained from the synthetic tests. 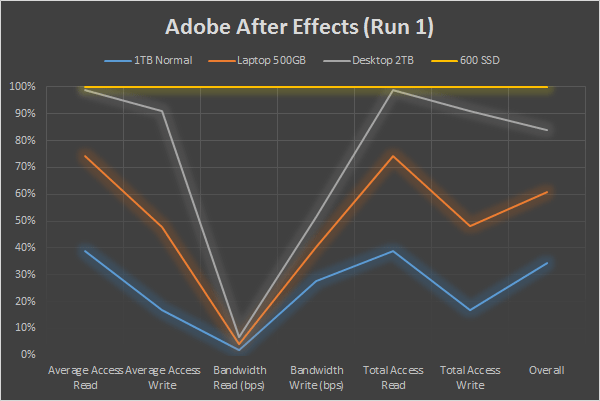 There are more tests to gauge a storage medium’s performance. In this section we will be going through application benchmarks for popular applications like Microsoft Office, Adobe Creative Suite and even games. In this set of benchmarks we will be comparing SSHDs against normal hard drives as well as SSDs. Also, Laptop SSHDs are being pitted against Desktop SSHDs as well. Obviously, SSDs will form the base of the benchmarks and doing so enhances the performance difference between each drive. 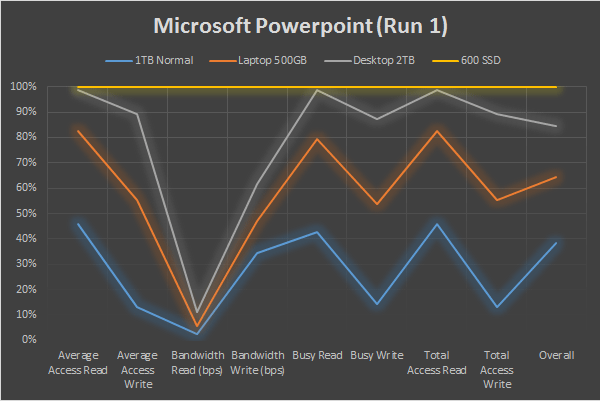 As far as access times are concerned we note that the Seagate desktop SSHD performs better than the Laptop SSHD. 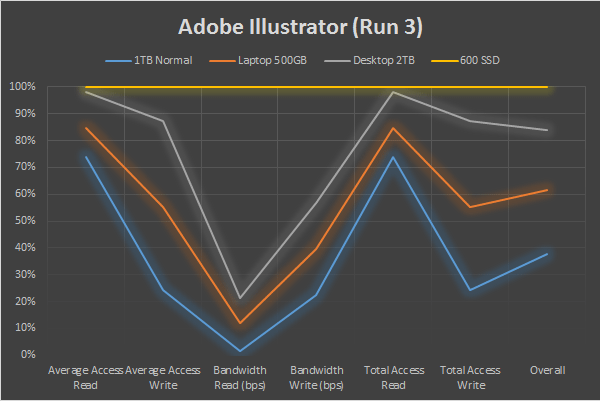 All three drives viz., the SSD, the desktop SSHD and the Laptop SSHD perform way better than the normal hard drive. All parameters we’ve tested here score bad as we move from the SSD to the Desktop SSHD to the laptop SSHD to the normal hard drive. We performed the tests multiple times for this article to show the difference that adaptive learning brings to the table. 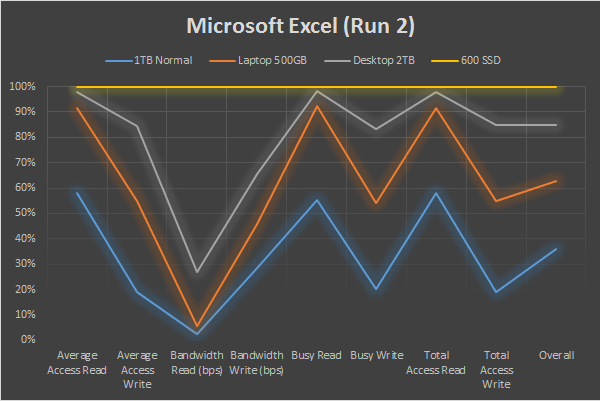 As we glance across the graphs we observe that the difference in the scores changes in a manner that shows with each run the access times improve since they are slowly getting cached in the 8GB cache memory. Second in our Adobe Creative Suite we have Adobe Illustrator. 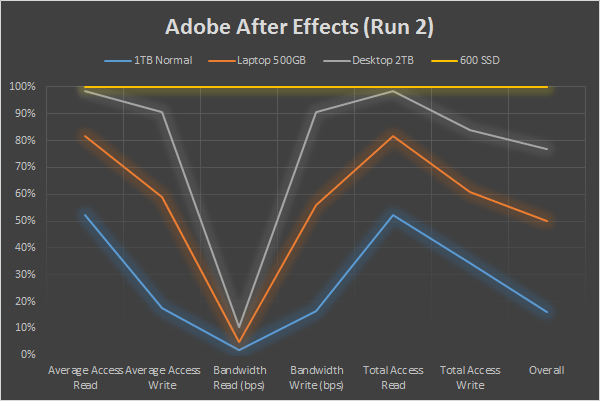 Yet again we get to see a similar pattern as we saw with Adobe After Effects. In the first run we get to observe that the scores are somewhat similar to the ones observed in After Effects. We noted that the scores for bandwidth remains more or less the same through the three runs and that is normal. However, as the runs progress we get to see scores for Total Access Time slowly moving up towards that of the SSD. This is yet again, evidence of the improvement that adaptive learning has on how data is accessed from the hard drive. In the next test, we look at Adobe Indesign. Here we see that The Seagate desktop SSHD’s performance is more or less the same as that of the SSD. There isn’t much to say with respect to this particular test as has been mentioned in the previous two tests. In this series we went ahead with Battlefield 3 which is one of the most popular games out there. With gaming performance the hard drive comes into picture when the level data has to be pulled from the hard drive into the RAM and from there graphical data that has to be rendered is pulled into the video RAM present on the graphics cards. So the RAM on the system as well as the video card plays a bigger role when it comes to getting more FPS out of your system. However, a big part of the gaming experience is when the waiting period between levels are reduced and this is where the hard drive matters. 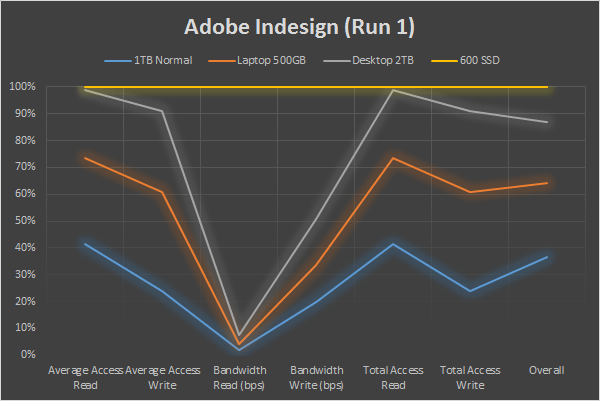 We notice that the write speeds as well as the write access times are the same across all three runs. But when we look at the read speeds and the read access times we see a gradual increase in response times as well as responsiveness as we get to the third run. As and when this game is played over and over again you can expect better load time. Especially if you end up dying a lot and repeating a particular level will you get the best read speeds. That’s something to soften the frustration that you’ll be experiencing with the frequent replays. Being one of the most popular office applications Microsoft Office was chosen as the benchmark application. We begin with Excel and notice that these applications improve tremendously across multiple runs. 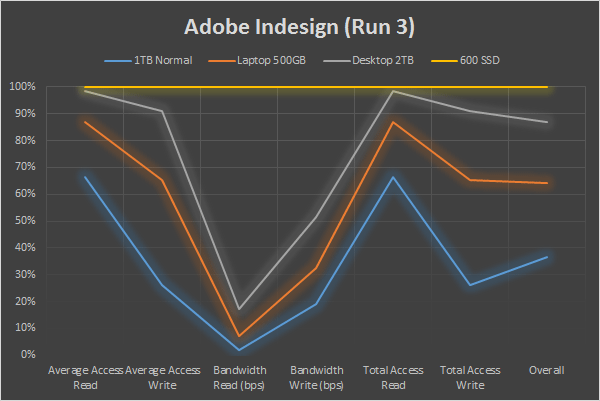 Yet again across all three runs we see that the write speeds are the same while the read speeds improve to the extent that they equalise with that of the SSD. 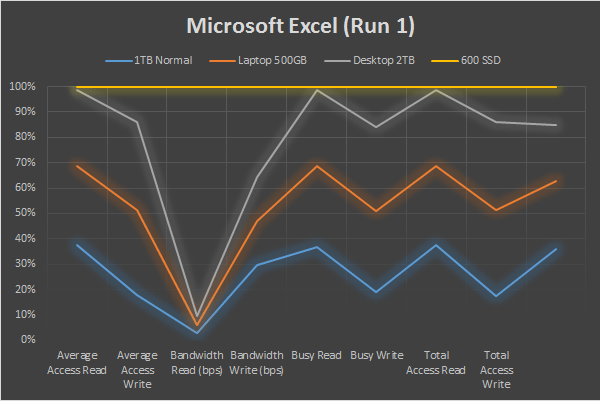 We also see that normal hard drives take a lot longer than SSHDs to achieve a similar improvement. 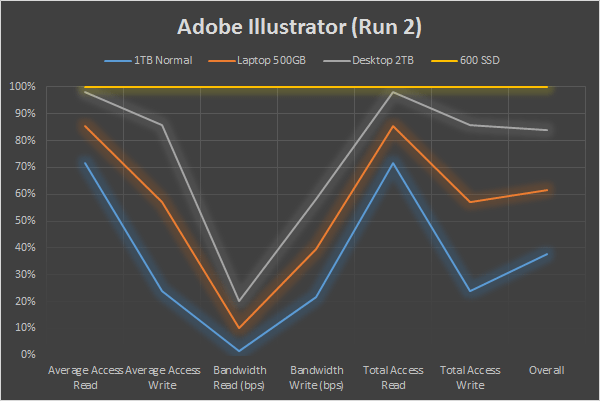 We see a 20% improvement when it comes to SSHDs for hard drive bandwidth. The second application we used for the benchmark was Microsoft Powerpoint. 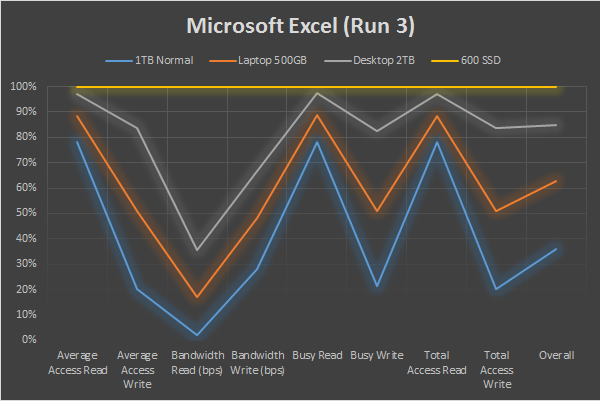 A similar performance improvement as observed in Excel was observed here. We see that yet again as we go through multiple runs the read speeds and access times improve. This was the last in our six part series where we explored the hybrid hard drive construction namely the Seagate SSHD. We see that they offer a significant performance increase by it Adobe Creative Suite, Microsoft Office and also games. We see that adaptive learning works as advertised. Moreover, we see that as these drives are competitively priced they offer a better return on your investment in the long run. 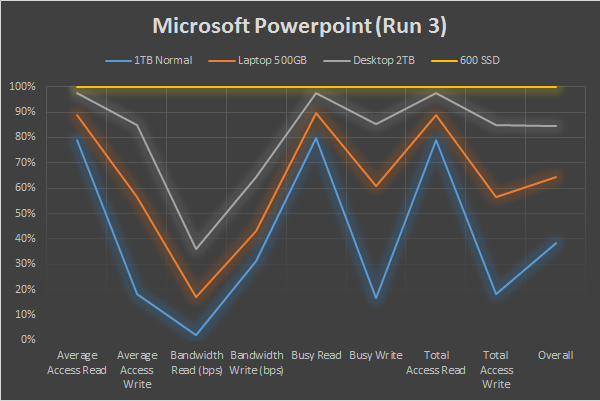 The Seagate desktop SSHD has better performance when compared to the Laptop SSHD and this is because of the difference in RPM on the two drives. A higher RPM improves access times which in turn affects transfer speed positively. You can read the other articles on SSHD on the microsite. Can I purchase dollar priced games in Steam and GOG in rupees?